While Sara Evans is reportedly in the studio hard at work on her forthcoming seventh studio album, Sony Legacy has released a new fourteen track retrospective of her sixteen-year career – the latest installment in the label’s Playlist series. Coming nearly five and a half years after Evans’ 2007 Greatest Hits package, Playlist: The Very Best of Sara Evans intersperses several of her biggest hits with a few less expected inclusions. 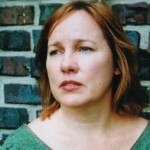 While there is some great material to be heard, there are a few missed opportunities as well. 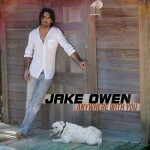 Single Review: Jake Owen, "Anywhere with You"
If a song has nothing to say beyond what’s said in its title phrase, what’s the point of writing the song in the first place? 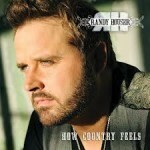 Randy Houser’s third album How Country Feels, featuring the hit title track, drops today. Country Universe is pleased to offer one autographed copy of this release to give away to one of our readers, courtesy of Girilla Marketing. 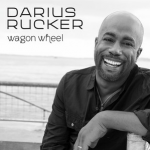 Single Review: Darius Rucker, "Wagon Wheel"
No matter that Old Crow Medicine Show’s original track isn’t even ten years old yet. Thanks to the proliferating powers of the modern age, “Wagon Wheel” has already become a chestnut – so much so that any new recording of it is bound to feel a little stale, even a long-overdue FM bid like this one. 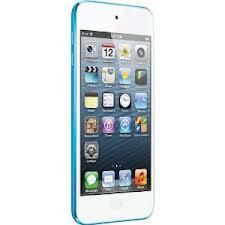 Country music has always been a singles genre, a fact that is clearly reflected on my iPod. Only three of my most thirty played country songs were never sent to radio. That doesn’t necessarily mean radio played them, of course. My most played country song is Alan Jackson’s “So You Don’t Have to Love Me Anymore”, which didn’t crack the top twenty, and not far behind is Trisha Yearwood’s “Where are You Now”, which didn’t crack the top forty. But looking at our most played album cuts is a great way to discover great music we might have missed, so it seems like a good choice for an iPod Check. Here are my country album cuts that I’ve played more than 5 times, separated by artist. Sort your list however you like. I’m getting my Amazon MP3 page loaded now so I can buy the great songs I’ve missed which surface in the comments. Today is Dolly Parton’s 67th birthday. What better time to revisit and relaunch our ongoing feature that reviews every single that she’s released in her illustrious career? This post will look at her four singles from late 1975 through the end of 1976. 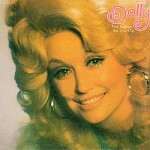 Three were solo efforts, while the fourth was her final release of the decade that was a collaboration with Porter Wagoner. It was clear by this point that Parton had designs on the pop market, but she hadn’t yet found the right way to make her style work in that format. So we get overlong pop ballads like this, which ramble on forever because Parton’s restraining her vocal trademarks that would make the record too identifiably country. 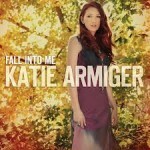 By now, Katie Armiger’s country music career comprises six years, four studio albums, and still zero bona fide radio hits. Her label Cold River Records has nonetheless stuck with her since 2007, with her previous outing, 2010’s Confessions of a Nice Girl, producing her first chart singles in the #55 “Kiss Me Now” and the #42 “Best Song Ever.” Her new album Fall Into Me has yet to reverse her fortunes at radio – Lead single “Better In a Black Dress” topped out at #42 on Billboard Country Airplay – but it no doubt contains more than enough tasteful, likeable pop-country material to keep current fans interested.